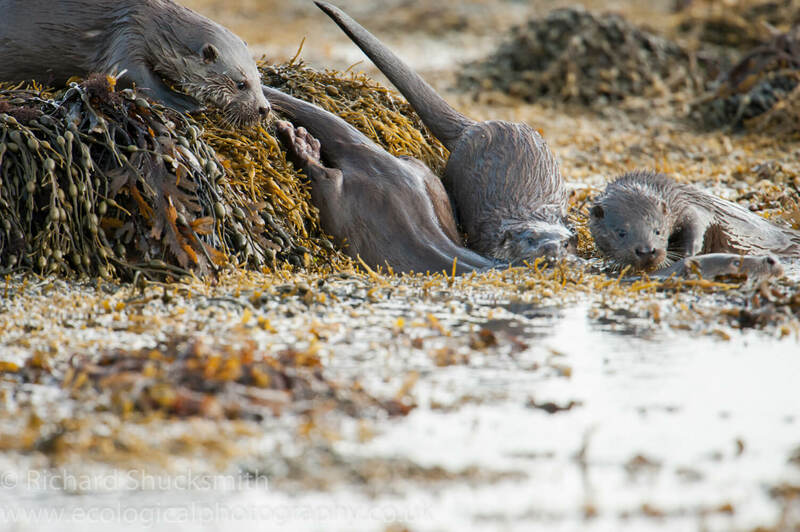 It’s a difficult task to keep up with Shetland otter’s and their families on several different shores. I feel like I need to be out walking those shores every day, which in reality is impossible. Otter numbers can wax and wane on a particular shoreline over time. A section of coast that has been good for while, can suddenly go quiet, maybe due to an old female dying, and waiting for her offspring to come sexually mature to reproduce. Shorelines where there has been a family can suddenly feel very quiet, when a family have split up. 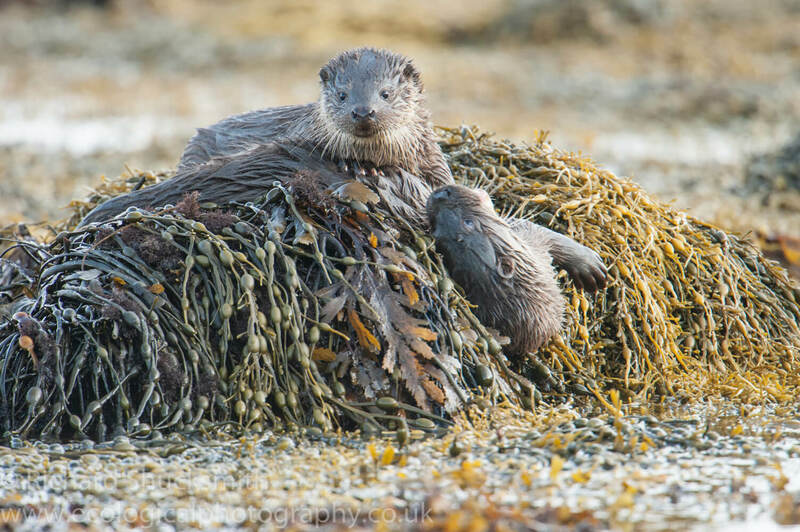 Most people who visit Shetland to photograph, or to look for otters want to see otter families, and ultimately this is what I want to show them. 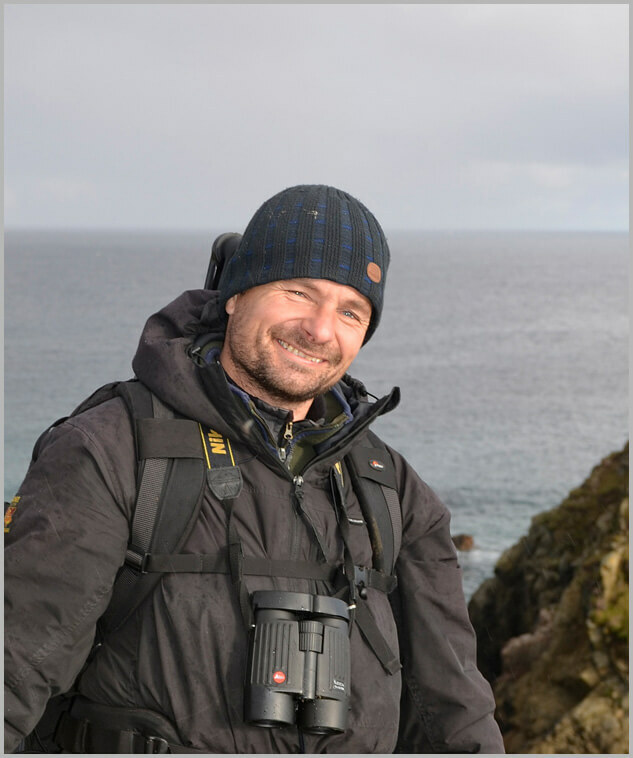 Spending hundreds of hours every year out on the shore, watching and observing otters, equates to myself knowing many coastlines very well and the otters that live there. However, when people visit the weather, and in particular the wind direction dictates which shores can be worked on any particular day. I work several shorelines to cover all wind directions, however on the day in question; the wind direction meant using a shore that had gone a bit quite, no families. Sometimes with returning otter watchers not photographers, I will ask them if they want to explore a shoreline. A very nice couple from Holland, Edwin and Jolanda were keen to go exploring, and this particular coastline had been good for otters in the past but went quite two years ago. Going quite still means that otters are there, but I had not seen a family there last year. It is also a very nice walk with lots of other coastal wildlife to see along the way and is a great day out. 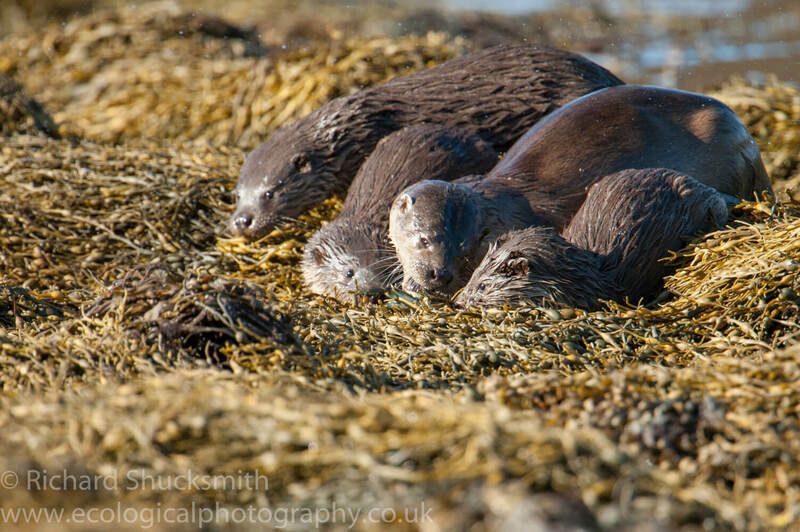 I was confident we would see otters, it is rare not to on the right coastlines but would we see a family? 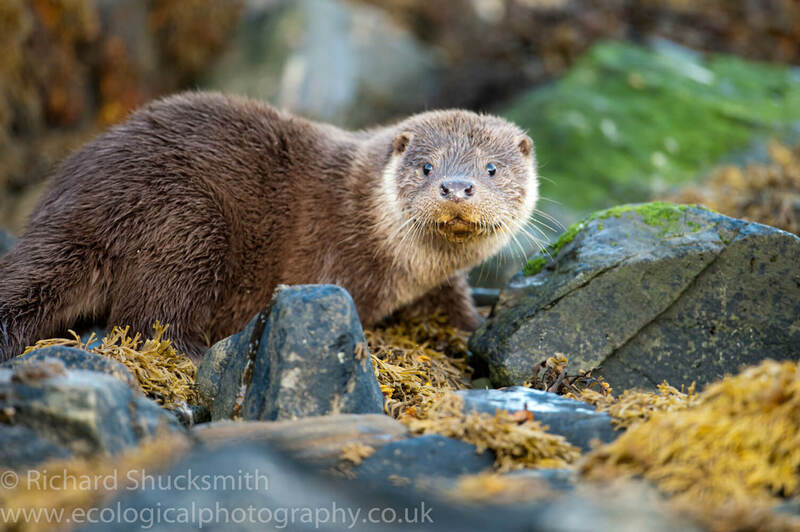 We set off along the coast and half way into the walk, having seen lots of signs of otters, I spotted a single otter heading our way, feeding. I got the three of us sat below the skyline, and within minutes the otter was in front of us and came out right on the rocks to our left hand side. It then proceeded to come right up the bank towards us. At this point there was nothing we could do, to move would spook the otter but too stop, it looked like the otter was going to bump into us. Within seconds the otter was less than a meter away, where it stood and stared at us for a second, before turning round and disappearing back the way it had come. I was disappointed as I never want to disturb an otter but sometimes on the rare occasions this happens, there is not a lot you can do. Realising that the otter had gone under a large boulder we moved away, a hundred meters along the coast and watched. Within a few minutes, the otter was back out fishing making its way across a small bay. This is why it is important to have the wind blowing into your face. For this otter had seen us but not smelled us, and that is very important. If an otter smells a human it will just disappear, and you will not see that otter again. However, otters have relatively poor eyesight, so although the otter saw us, it did not smell us, so we could have been anything to that otter, sheep for example for which there is plenty along the shorelines in Shetland. The otter went across the bay and we decided not to follow. I was confident we could see another otter further along the coast. We came to two more small bays and as I scanned the bays, I saw an otter moving fast towards a rock, along with what seemed like several otters. 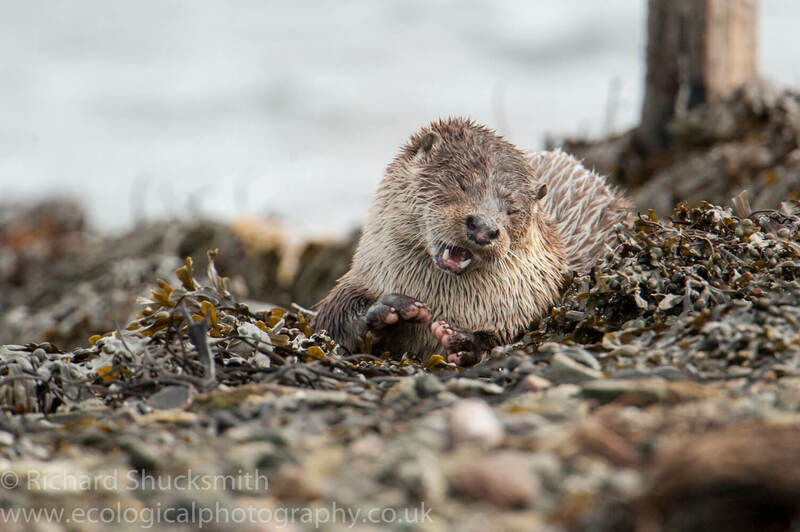 As the otter came up on the rocks, two more otters followed, which was a sure sign a mum and two cubs. 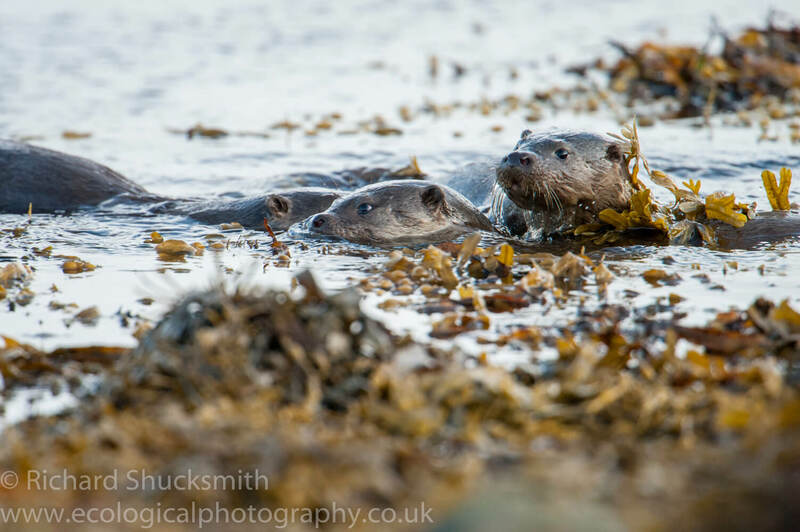 We sneaked along the shore to get a better view and realised there was four otters. As they crossed over a sandy bar between the two bays they were going crazy, the cubs play fighting, while mum stopping to spraint. It became apparent, very quickly; it was a female with three cubs. It was a great display for us, over the next three hours, as we followed the family watching them catch fish; play fighting, while they constantly moved along the coast. It is always worth exploring, sometimes it really pays off.